The first ever Sonic Cathedral. The original poster and weirdly stretched font was by Jimmy Young, essentially a stained glass window made up of various shoegaze classics to really force home the second-hand Steve Wright In The Afternoon joke of a name. Despite all of this, until the following year when it became a genre option on MySpace, the s-word was still a dirty one that no one wanted to be associated with. 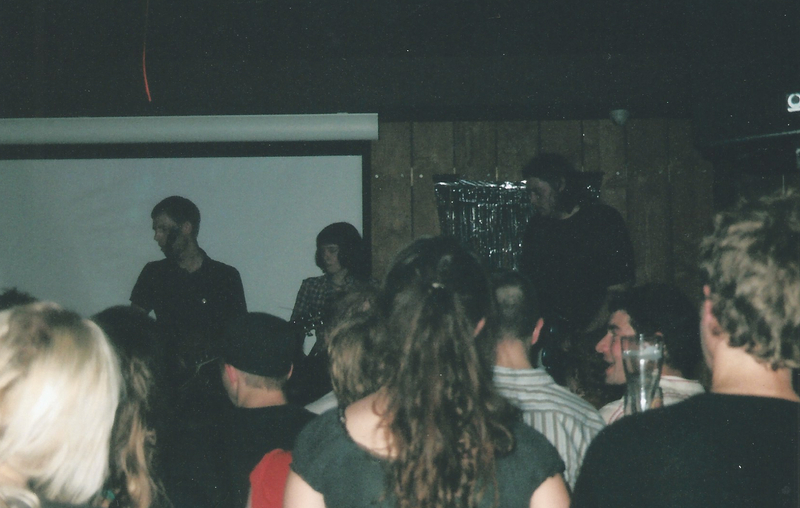 Least of all The Radio Dept, whose debut album, Lesser Matters, had come out (in the UK) earlier in 2004 and had soundtracked that summer (and many since). There was something about their eternal teenage melancholy that really affected me and they instantly became my favourite band (they still are). They really didn’t want to be pigeonholed as a shoegaze band, but thanks to some mutual Malmö friends and the ever-reliable Rich Walker at Beggars Banquet (The Radio Dept were signed to the Beggars-owned XL in the UK at the time) I managed to convince them to play for the princely sum of £200. I had no idea what I was doing. I still don’t, to be honest, but at this point I’d never even put on a band before. 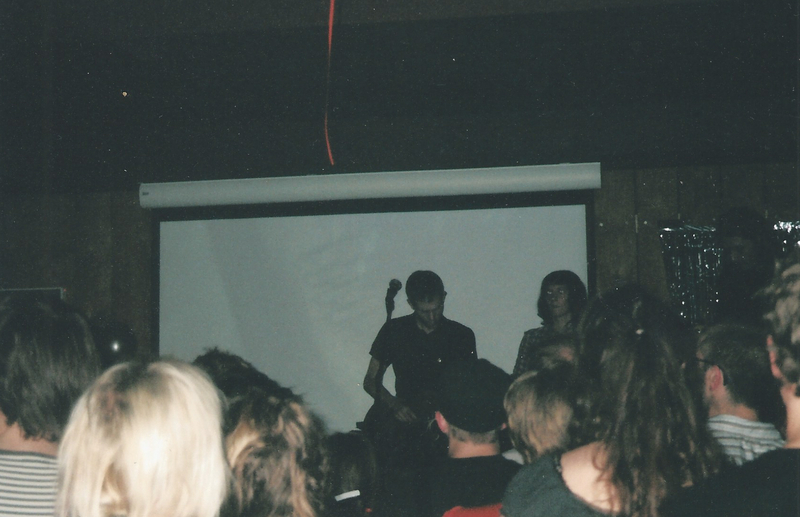 The Legion was never a proper live music venue, either, which is why it became such a legendary launch pad and why it hurts to see the same space as a soulless and music-free cocktail bar these days. The stage was plywood screwed on top of some wooden benches and the sight-lines were awful, but down at the front where it was loud and intense it was never less than incredible. No one died, but we got away with murder in there over the next few years. 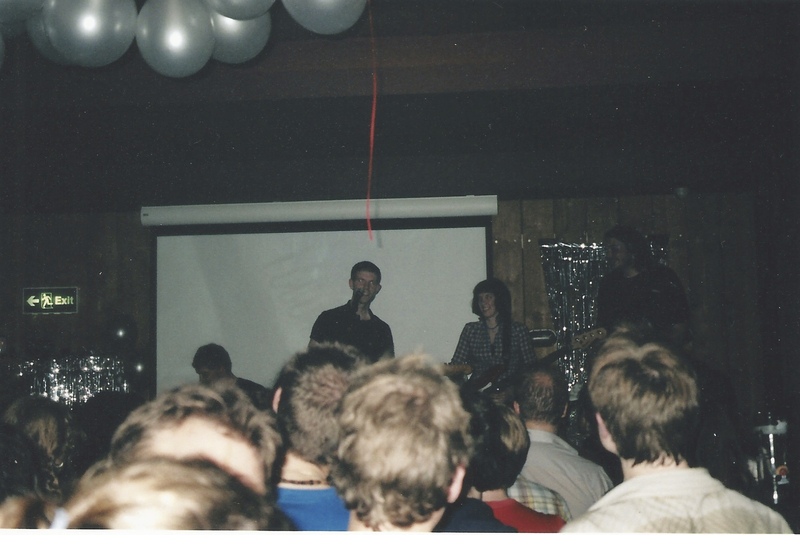 From the terrible photos you can see my rudimentary attempts to replicate some kind of cross between Slowdive at the Yamaha Band Explosion in September 1991 – all those silver streamers – and Warhol’s Silver Clouds – all those silver balloons. In reality it was just a long, dark room barely illuminated by some cheap strobes and a looped DVD of old clips from The Chart Show, Rapido and Snub TV projected onto a big screen. Sadly, the smoke machine was banished after it set off the silent alarm. I was going to make a Bloc Party joke here, but then I remembered ‘So Here We Are’ and that Minotaur Shock remix of ‘Tulips’ were both early floor-fillers. Despite using my day job at NME to wangle a one-page feature about the shoegaze revival (featuring Engineers, Amusement Parks On Fire and The Radio Dept all flat-out denying that they were shoegazers under the headline ‘Feedback To The Future’) and also a massive ‘Club Of The Week’ preview, I wasn’t sure who would actually come. I needn’t have worried – it turned out there was a whole lost tribe of people who had been looking for a spiritual home since somewhere around 1993 when they weren’t allowed into The Good Mixer for being too miserable and not blokey/jingoistic enough. 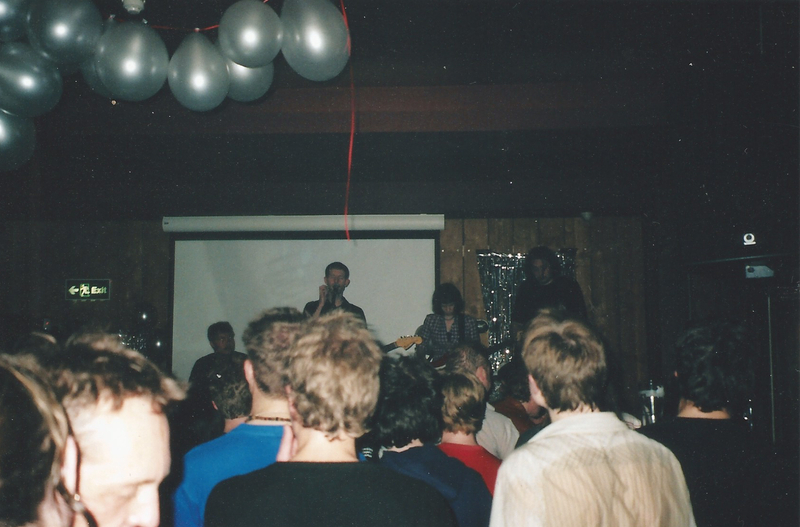 There were original Chapterhouse, Ride, Slowdive, Cranes and Moose T-shirts and, to make up for all those whose fringes had been ravaged by middle age or male pattern baldness, there were plenty of young people of all genders to keep things hairy and fresh; the place was absolutely rammed. The true capacity of the Tardis-like Legion was always a little bit vague, but we stopped counting at 400. 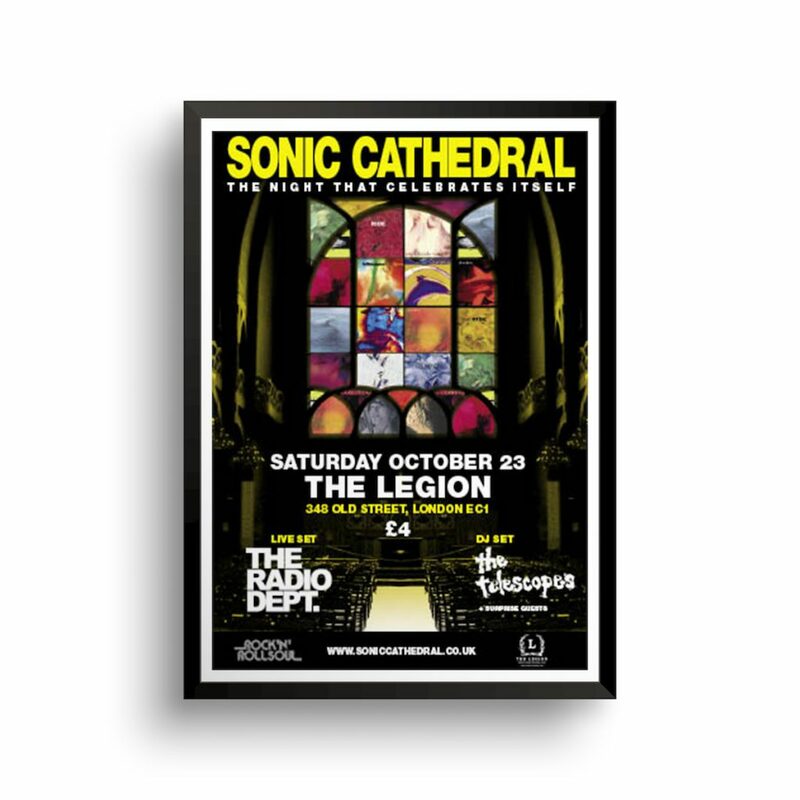 One of those present was Andrew Weatherall, who came down because – I think – his friend had designed The Legion’s logo. I bought him a vodka and lime cordial and managed to get his number for future DJing duties. Almost 14 years on and I can still count on him, despite a faux pas in the toilets that night when my excited inner fanboy was loudly telling a friend how I’d got his number, only for a cubicle door to open and One Lone Swordsman to shuffle out. 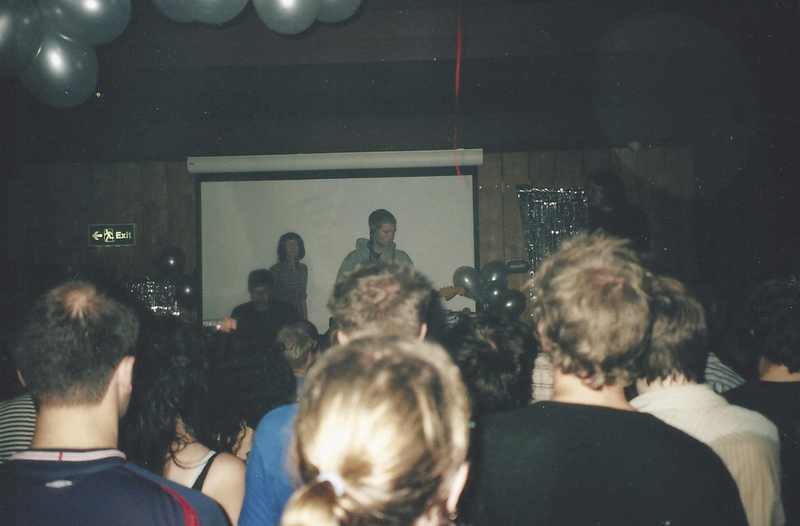 The idea with those early nights was to always mix the new ’gazers (never nugazers) with the slightly older ’gazers, so Stephen and Jo from The Telescopes came down from Burton upon Trent for a guest DJ slot. There were plenty of others who took their turn on the decks, too, including Phil King and Emma Anderson from Lush (the “surprise guests” mentioned on the poster). I opened my DJ set, and the night, with Syd Barrett’s version of ‘Golden Hair’, a nod to Slowdive and the perfect scene-setter for the madcap evening ahead. 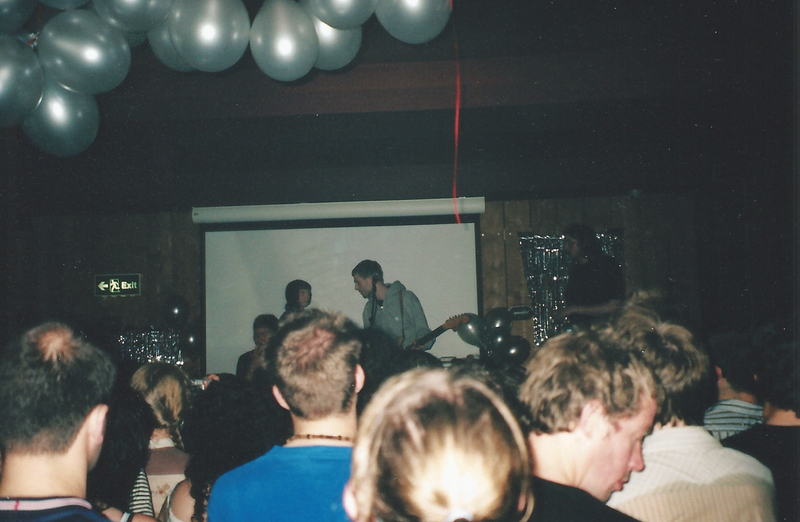 Most of the rest of it is lost to time and alcohol, but I remember The Radio Dept being amazing and, when they played ‘1995’, I cried. It was a mixture of relief, excitement, alcohol and the realisation that this wasn’t a one-off at all – it was the start of something.